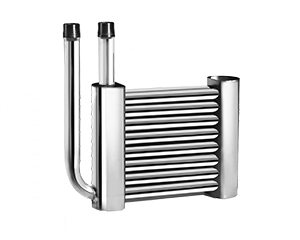 The DRG Series Exchanger is a DUAL footprint that offer superior performance for use in heating and cooling applications and can be used in salt water, alkaline solutions and plating rinse tanks. 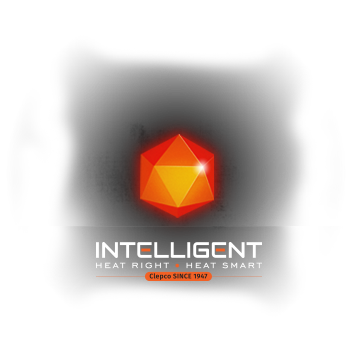 This dual footprint design offers superior performance for use in heating and cooling applications where space is an issue. 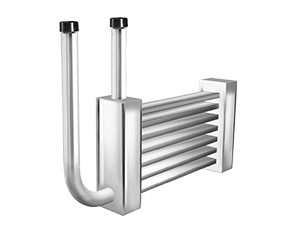 These dual format round tube grids require a substantially smaller footprint to adequately heat or cool a given exchange area. 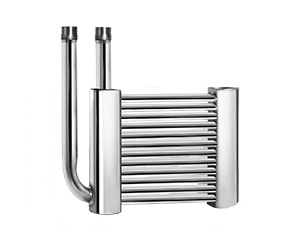 Rugged construction with heavy gauge material in 316 stainless steel, titanium, zirconium or mild steel allows for long uninterrupted life. Fluoropolymer coating is available for corrosion protection at solution interface. 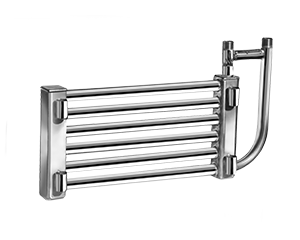 Precision inlet and outlet manifolds enable single point connections that reduce potential for leaks while simplifying installation. Always consult your chemical supplier for proper sheathing material compatibility. HIGH 100 PSI PRESSURE RATING (Custom higher pressure ratings available.Consult factory for additional information). UNLIMITED SIZES AVAILABLE. (Standard 5.9 sq. ft. to 140.0 sq. ft. of exchange area). NOTE: Consult factory for assistance with selecting the inlet and outlet connections. 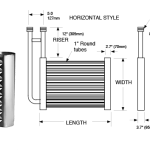 Larger inlet sizes are usually required for grid coils larger than 33 sq. ft. for steam and 25 sq. ft. for water.